1. The Imperial Bank of Persian, which occupying part of the eastern side of the Gun Square [Toopkhaneh], the scene of much fighting, was struck by several shells. 2. 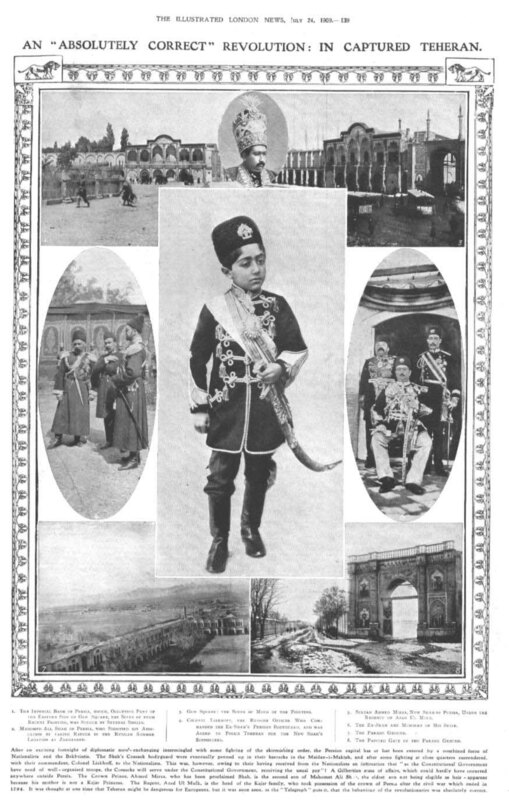 Mohammad Ali, Shah of Persia, who signified his abdication by taking refuge in the Russian summer legation at Zargandeh. 3. Gun Square: The scene much of fightingn. 4. Colonel Liakhoff, the Russian officer who commanded the ex-shah's Persian bodyguard, and was asked to police Tehran for the new Shah's supporters. 5. 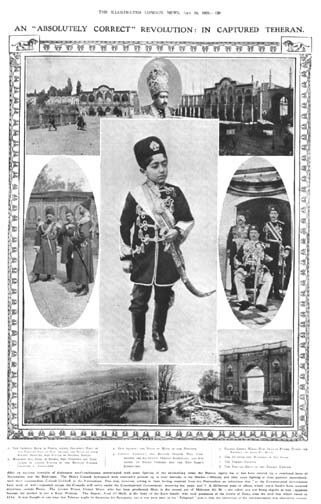 Sultan Ahmad Mirza, new Shah of Persia, under the regency of Azad ul Mulk. 6. The ex-shah and members of his suite. 8. The painted gate of the parade ground.